The claim is obviously contrary to what we experience every day. Any object that appears above the horizon will stay above it no matter how far it is. If the object is far enough, then it will appear as a single dot, coinciding with the vanishing point. Conversely, the same happens with objects that appear below the horizon. For example, a long and straight rail track will appear to converge to a single dot if it is far enough. It will not appear to ‘go up’ and cross the horizon line no matter how far it is. Sunset has a much simpler and plausible explanation. When sunset happens, the sun is physically no longer above the horizon. 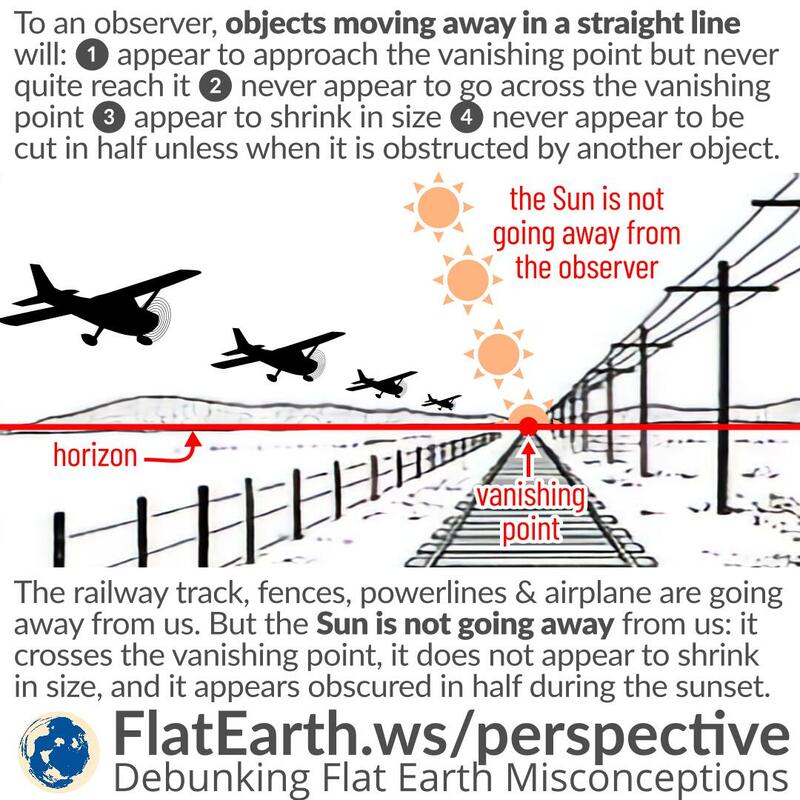 It is not visible because it is obstructed by the curvature of the Earth.